I know I've had pita bread before, though I couldn't tell you when. I remember it was fine...nothing special. Probably store-bought and full of junk. Didn't make much of an impression. When I ran across this recipe from Perry's Plate I added pitas to my grocery list. I got to the store and looked over my options with a sort of resignation. I picked up a bag of whole wheat pitas, looked at the ingredient list, and immediately put it back. I'm no pita expert but I was pretty sure a simple flat bread shouldn't require 17 ingredients. I did a quick Google search from my phone right there in the bread aisle and discovered that pita bread, like most breads, requires only flour, water, salt, sugar, a little fat and some yeast. All things I happen to keep on hand at home. My Google search led me to this recipe. As I do with most yeast breads, I threw all the ingredients in my bread maker, turned on the dough cycle, and left it alone for a couple hours. I followed the recipe exactly after that. I divided it into 8 pieces, rolled them into discs 1/8-1/4 inch thick, then baked them at 400 degrees on a preheated cookie sheet. I was slightly boggled by how perfect they turned out on the very first shot. That doesn't happen for me very often. Not only did they puff and create perfect little pockets, they were freaking delicious. I ate one straight from the oven smothered in butter. The next was devoured as a pita panini stuffed with roasted slices of squash and red bell pepper, a bit of cheese, and a whole lot of basil hummus (I vegetarianized this recipe. Not a ham fan). It was so so good. Also, please check out my homemade panini maker. Thank you, Natalie, for that suggestion. Two pans and a couple cans of pumpkin and the whole wide world of paninis has been opened to our family. I did half white wheat flour and half all purpose flour. I didn't want to brave 100% whole wheat on my first shot but I will on the next go round. Find the full recipe for homemade pitas here. We do pitas with all whole wheat all the time, and they turn out great (we use Mark Bittman's recipe, but I think it's fairly similar to this one). I love pitas! I wondered if I could make my own but thought it was too hard. NOPE. I will be trying this. That panini maker is just genius. Genius, I tell you. 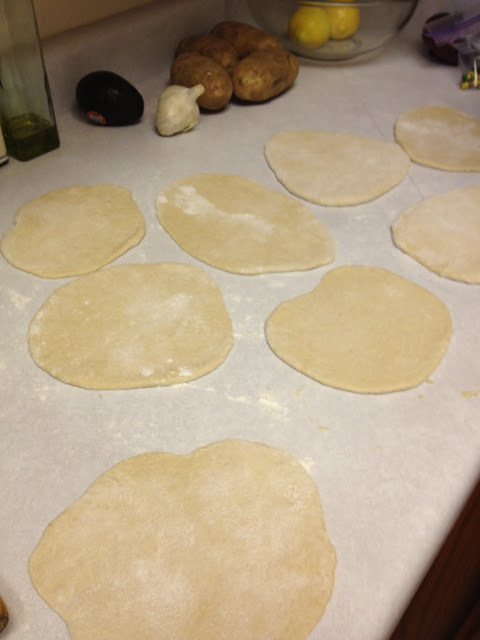 Mel (of melskitchencafe) just posted a pita recipe the other day, and I tried it out. Unlike you, though, mine was a total flop. They tasted great, but didn't puff at all. That could be my fault, though, for jumping straight to 100% whole wheat. I'll have to try this recipe and see if it likes me better. I just added pita bread to my grocery list then stumbled onto this post! Yay! Also; LOVE your panini maker! I am currently using a waffle iron for our panini's and it's a close second to this method. Thanks for the recipe! Thanks for linking up! Panini makers are so overrated. Love the stacked pumpkin cans for some extra squish! 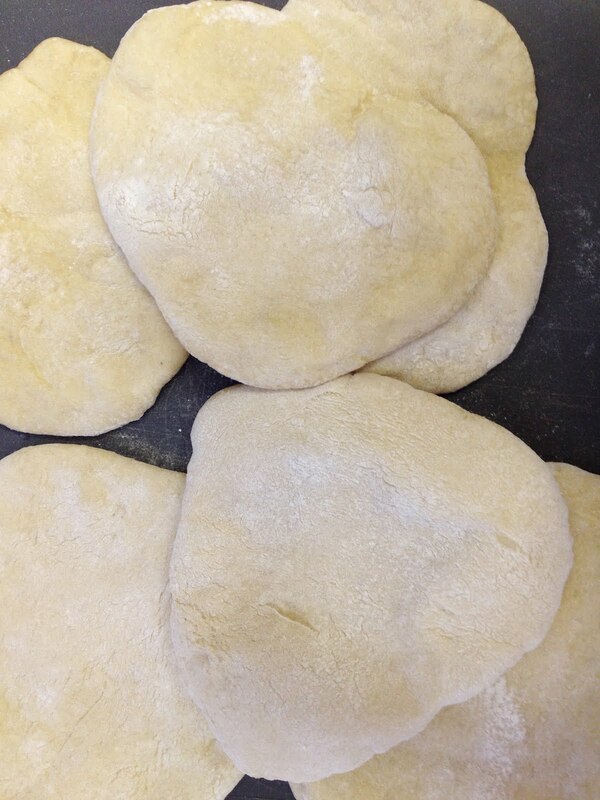 Do you think the pita would turn out the same using gluten-free flour?